Why is Social Media Essential to Being a Successful Attorney? The rise of social media sites and mobile internet use in the past few years changed how consumers view service-oriented businesses. People want to use social media to gain an inside track on companies, but this requires the company to participate in the social media arena, develop a mobile website, and create helpful mobile applications. 6,377 legal professionals listed on LexTweet, a Twitter-based legal community. 9,226 law blogs run by lawyers and legal companies. 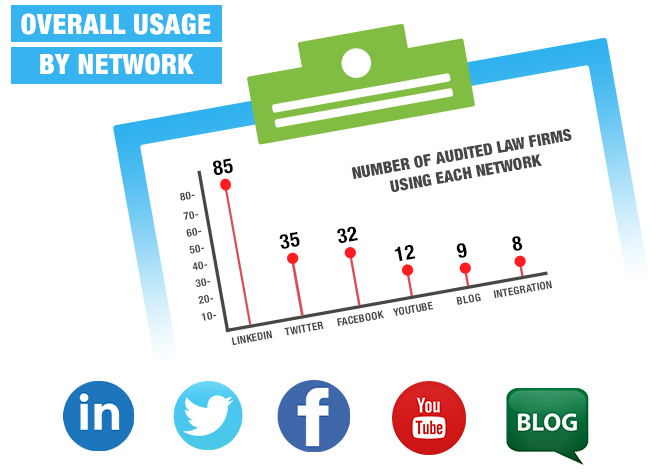 One-third of the AmLaw 100 law firms use Twitter on a regular basis. 77 percent of legal firms use social media. These impressive numbers reveal that many legal firms already know the benefits gained through integrating social media into marketing strategies. Digital Marketing Sapiens specializes in designing social media campaigns for personal injury attorneys. Let us help you gain clients and build for the future by engaging customers on the hottest social media websites. Communicate and share legal advice with clients. Maintain and attract new clients through marketing campaigns. Showcase expertise and highlight exceptional reviews. Create a well-crafted presence to improve brand recognition. Technology is radically changing the way law firms function and share information. In today’s world, the presentation of information matters almost as much as the information itself. Legal firms need to stay current with the latest technology to meet the needs of potential clients. We will work with you and draw on our proven, results-based strategies to help create and implement a social media plan that fits your personal injury attorney firm. Our goal is to integrate social media into your entire business so that it pays off in both short and long term goals.